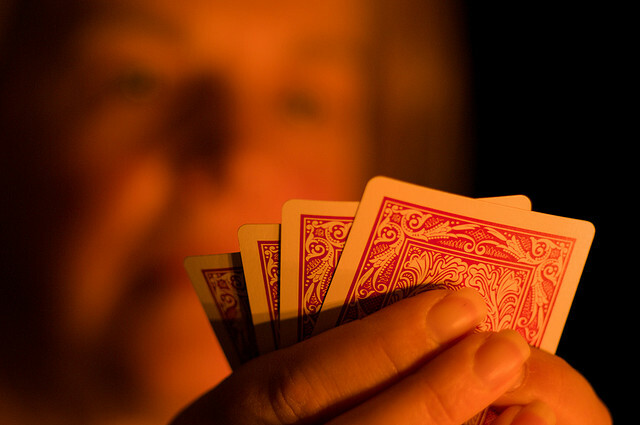 The first act is often called as the final act in card games. If you step in and enter the game, you have to stay committed to win the pot. In other card games like Poker, the decision to step in is not that difficult compared to rummy: A hand of 2 cards is much easier to analyze compared to 13. This is one of the reasons why rummy is called as thinking man’s poker. So, how would you analyze a starting hand of 13 cards? The answer is easy – You need to calculate the probabilities and calculate your chances of winning the game. Many expert rummy players have proposed numerous theories on analyzing the starting hands in 13 cards rummy. But don’t worry; you are at the right place – You will find the best rummy strategies and Indian rummy rules on how to evaluate starting hands. You can call this as the premium hand of rummy. Like a pair of Aces and Kings in Poker, such starting hands in rummy are rare to find. The winning odds are very high and you could win the game in 3 to 4 moves. As you already have two sequences including a pure, completing other sets or sequences would not be difficult with one or more Jokers. This is one of the safest hands to play in rummy. As you have one or more Jokers, you can use it to make another sequence. In this way, you are ahead of the game and complete other sets and sequences. In case if your opponent declares before your turn, you will be penalized with least number of points as you have already have two sequences with a pure. You need improvised skills to play this hand as the chances winning are quite bleak. However, expert rummy players love to play this hand, as a pure sequence is already dealt upon. What matters the most is how well you are able to track your opponents. If you think that the odds are less, there is no harm in going for a middle drop. This is the most common hand dealt in 13 cards rummy. If you are dealt with all high value cards and non-connecting cards, the best rummy strategy would be to go for a first drop. However, if you are dealt with connecting cards, all the winning chances depend on the way you play the game. Also, don’t give any chance to your opponents to pick your discarded cards. So, use these advanced rummy strategies to analyze your starting hands and win more in 13 cards rummy!